For starters, please tell us a few words about yourself: who are you, where you come from, what you do every day? My name is Michal and I’m 24 years old. I’m from Nowy Sacz. I’ve been living in Krakow for 5 years. I am a professional illusionist. Can you tell me more about the profession you have chosen? How it all began, how they work and what exactly do you do? It started by accident, actually. Once, during a meeting with friends, we got bored. My friend brought a deck of cards and I thought to myself that the next time to prepare myself for this opportunity and I will learn some simple tricks with cards. As a result, I started searching the Internet, I managed to find some tricks and started to practice. Sometimes, I practice up to 12 hours a day. After three months, I was in Krakow at a meeting of magicians, where I met a few people who really helped me develop and continue to inspire me to improve my skills. Over the next nine months, I performed mostly for friends and strangers on the street in order to improve. Around that period, I started to do this professionally. I am currently doing private and corporate events, and I regularly do street shows in the main market square in Krakow. How do strangers react to your actions? Is it positive? When it comes to performances on the street, people are intrigued and interested, because in Krakow there are no other shows of this kind. During the show, the audience builds up from 100 to 150 people, and I am doing them on the average of 4 per day, so we can safely say that the reception is positive. In terms of private contracts, that is a different matter – the visitors going to a party expect different tricks. You could simply say that. Don’t magicians and illusionist have a hard job to do in our serious, rational world? Absolutely. Each of us likes to have a good time and have fun. Therefore we are able to provide a high level of entertainment. A magic show is quite a surprising and unusual event. Do you teach your illusionistic skills to others? You show anyone how your tricks look like from the inside or is it more of a”professional secrecy”, knowledge available only to the selected? We like to share our experience, but above all in this, as with all closed circle, such knowledge isn’t for everyone. 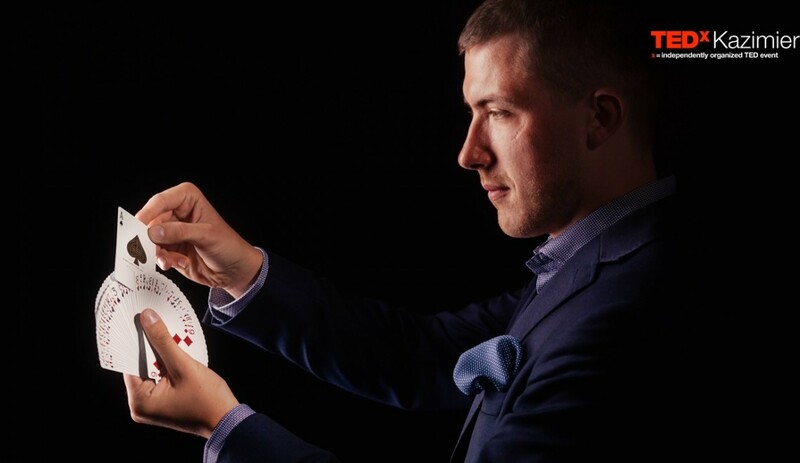 In Krakow recently begun to take place in meetings and training for magicians. It is my pleasure to organize and host them. There are a lot of interest in them, and I hope that over time, we will grow. What qualities, in your opinion, should a good magician have? What particularly matters? The most important, in my opinion, is the self-confidence, perseverance, and passion. The last of these features is particularly important in the field of entertainment and art. A passion for illusion makes you put your heart into your work, so that each appearance is in front of a different audience. As a result, in some ways become unique and one of a kind. Where did you hear about TED and TEDx? Are you convinced by this idea of sharing? I learned about TED by watching videos of people connected directly to the environment of illusionists. I heard about TEDx from friends in Krakow. I am convinced by the idea. I like the sharing of experience and ideas, meeting new and inspiring people, and many, many other positive things. Every day you perform before an audience, have you ever given a show for TEDx or other major events? 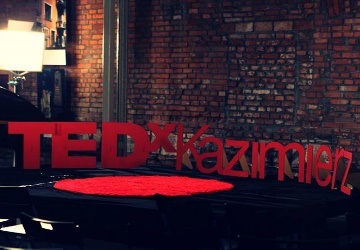 I had a invitation to appear at a TEDx, in a more intimate environment. But, I did not have a chance to perform really big events. Certainly a lot of people has problems with stage fright during TED and TEDx, before getting on the stage. Have you ever experience this at the beginning of your professional career? Do you have any advice on how to successfully overcome the stress? Of course! It happened more often in the beginning than now. It does not change the fact that sometimes, I can be a little nervous before some performances. When I notice that it begins to happen, I try not to think that I’m nervous, but that I am excited! This Friday, you are coming to our meetup. What will you present to us?